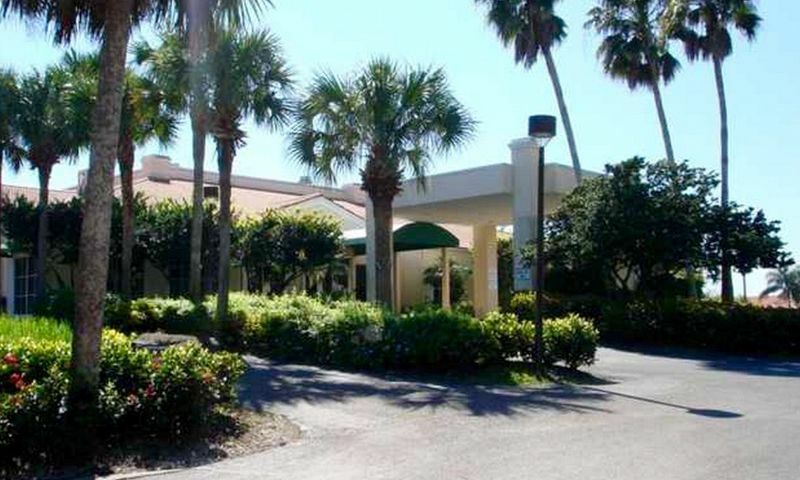 Carousel Cove at Bonita Fairways is a 55+ community in Bonita Springs, Florida. This gated active adult subdivision is located within the master-planned Bonita Fairways community. Carousel Cove consists of only 105 single-family homes situated across a lush landscape and natural, open spaces. Residents enjoy all of the amenities found at the Bonita Fairways clubhouse as well as optional golf memberships. The 18-hole executive golf course was designed by Gordon Lewis and provides challenging short and long games for players of all skill levels. Located in Bonita Springs, Florida, homeowners are never far from local shopping, dining, and entertainment. The area also has plenty of beaches, supermarkets, a library, and Interstate 75, which are all just a few miles away. Residents enjoy resort-style amenities at the Bonita Fairways clubhouse. Here, they can work out in the fitness center, have fun in the game, poker, or card rooms, play billiards, or attend a party in the banquet room. A library is the perfect place to enjoy the latest novel and a catering kitchen is available to prepare snacks for a community event. A pro shop is also available for residents to purchase the latest gear for their next game. An on-site cafe is a great place to grab a drink or snack before heading outside. Outdoor amenities are superb as well. The sparkling pool and spa are great for relaxing under the Florida sunshine. Neighbors can compete with others at one of the tennis, bocce ball, or shuffleboard courts. Homeowners can opt to purchase a golf membership or pay-as-you-go to play at the 18-hole executive golf course. This Gordon Lewis-designed course is great for players of all skill levels. Residents can utilize the golf practice facilities, driving range, or putting green to enhance their swing. Carousel Cove was developed between 1993 and 2006 and consists of 105 single-family homes with some residences enjoying golf course views. These resale homes offer approximately 865 to 2,152 square feet of living space. They typically have two or three bedrooms, two bathrooms, and an attached two-car garage. Some home features include open floor plans, spacious master suites, vaulted ceilings, crown molding, updated kitchens, screened lanais, and private backyard pools. Residents enjoy low-maintenance living in Carousel Cove at Bonita Fairways. A homeowners' association fee covers exterior pest control, street lights, trash removal, and access to amenities. There is a variety of activities and events going on at Carousel Cove. Residents enjoy events like casino night, dancing, themed and holiday dinners, ladies luncheon, pool parties, and more. They can stay fit by taking exercise classes, yoga, water aerobics, or swimming. Neighbors have fun playing billiards, cards, games, bocce ball, tennis, shuffleboard, Mah Jongg, golf, or poker. With so much to do in Carousel Cove at Bonita Fairways, homeowners will have their social calendars full throughout the year. Carousel Cove at Bonita Fairways enjoys a prime location in Lee County. Bonita Springs has plenty of attractions and everyday conveniences nearby. The community is close to a library, Interstate 75, Highway 41, and Bonita Springs Town Center. There is a wide selection of grocery stores, fast food chains, restaurants, and other shopping options just minutes away. Residents are just five miles away from all of the beautiful beaches along the Gulf Coast. Medical facilities can be found at Bonita Community Health Center that's only five miles away. Other golf courses are located close by as well, like Highland Woods Golf Course and Bonita Bay Club. For farther travel, Southwest Florida International Airport can be reached in about 30 minutes. Carousel Cove at Bonita Fairways is the perfect 55+ community with resort-style amenities in Bonita Springs, Florida. Clubhouse - 19,000 Sq. Ft. There are plenty of activities available in Carousel Cove at Bonita Fairways. Here is a sample of some of the clubs, activities and classes offered here. Carousel Cove consists of 105 single-family homes with some enjoying golf course views. These resale homes offer approximately 865 to 2,152 square feet of living space. They typically have two or three bedrooms, two bathrooms, and an attached two-car garage. Some home features include open floor plans, spacious master suites, vaulted ceilings, crown molding, updated kitchens, screened lanais, and private backyard pools. Please Note: Floor plans are not available at this time. 55places.com is not affiliated with the developer(s) or homeowners association of Carousel Cove at Bonita Fairways. The information you submit is distributed to a 55places.com Partner Agent, who is a licensed real estate agent. The information regarding Carousel Cove at Bonita Fairways has not been verified or approved by the developer or homeowners association. Please verify all information prior to purchasing. 55places.com is not responsible for any errors regarding the information displayed on this website.